[Editorial] Bowers and Wilkins to be sold! British loudspeaker manufacturer, Bowers and Wilkins (B&W) is to be sold to a small, and relatively unknown company. This week, Joe Atkins, chief executive officer of Bowers & Wilkins told his 1100 staff that he will be selling his majority stake in the company to Eva Automation, a 40-person Silicon Valley start-up that hasn't yet sold a single product or service. The company was started in 2014 by Gideon Yu, a former Facebook Inc. chief financial officer, ex-venture capitalist, and current co-owner of the San Francisco 49ers. Bowers and Wilkins was stared in 1966 by original head-man, John Bowers, who had only been making speakers as hobby before he ventured into the industry by manufacturing B&W speakers in Worthing, Sussex. The company started in the heydey of British hi-fi manufacturing, and became a main rival to the likes of Wharfedale and KEF. B&W's first speaker, the P1, originally consisted of Celestion components, and by 1973, the firm attained the Queen's Award for their deals in exportation and also started building monitors for the BBC – something that had been only done by KEF to this point. Eventually, B&W made enough money to start developing their own builds as they invested in measuring equipment. 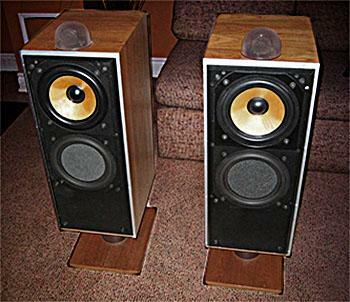 In 1977, the legendary DM7 was anounced that featured a separately mounted tweeter. This meant that cross-talk and resonance in the same cabinets could be neutralised, giving greater performance at higher levels. (One of my friends owned DM7's and they did sound fantastic). By the time the 1980s had arrived, Paul Bowers (son of John) handed the managing baton onto Robert Trunz who guided B&W through the decade. But, in 1987, John Bowers died. This meant that his job was then reassigned to John Dibb who continued designing speakers for B&W. 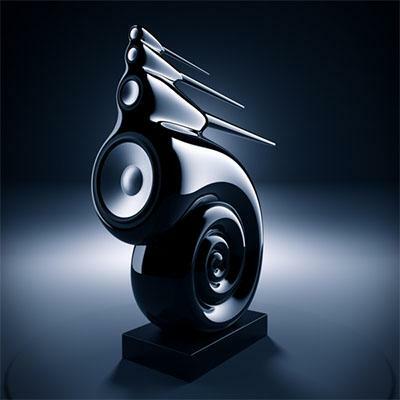 In the 1990s, B&W produced the flagship Nautilus speaker of 1993. Still in production today, the tweeter system also features on the incredible PM1 speaker as well. 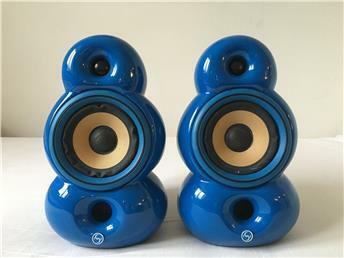 As the 90s passed, smoother designs were incorporated from the design team at B&W's sister company, Blue Room Loudspeakers. B&W also concentrated on the iPod phenomenon; realising that a high-quality dock was needed in the Hi-Fi market to get the best sound out of what was around at the time. That resulted in the B&W Zeppelin. It is not yet known what will happen to B&W after the sell-out.